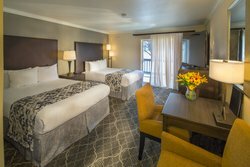 Nestled in the heart of the San Ramon Valley, the Best Western Danville Sycamore Inn is a stylish and contemporary hotel just minutes from the charm of downtown Danville, California. We have 62 rooms and suites with six versatile room types to select from. Whether you are visiting for a business meeting or a weekend getaway, our Danville, CA lodging offers a comfortable retreat for relaxing and working in the San Francisco East Bay Area. 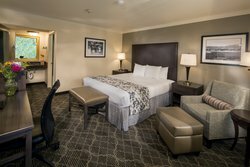 Our affordable guestrooms and suites are equipped with warm California decor and contemporary furnishings while offering functional environments for business travelers and families alike. Our friendly and knowledgeable staff strives to continuously provide the conveniences of home and office to make the Best Western Danville Sycamore Inn your home away from home. 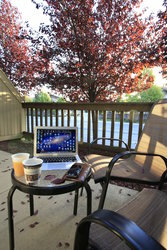 Enjoy the convenience of waking up to a complimentary hot breakfast, stay connected with our free Wi-Fi, and keep up to date with work in our business center or at your personal in-room workspace. A stay with us is full of relaxation too. Wind down with a dip in our heated outdoor pool or soak up some sun in a comfy, poolside lounge chair. With accommodating hospitality and thoughtfully designed spaces, our Danville lodging ensures that your stay is seamless and stress-free! 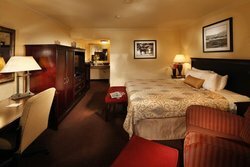 Get comfortable in our beautifully-appointed rooms outfitted with plush king or queen beds, work desks with ergonomic task seating, Flat Screen TVs with HBO, armchairs with ottomans, refrigerators, microwaves, and telephones with voicemail. 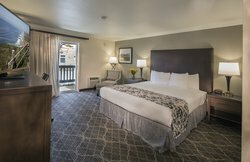 Make your stay extraordinary by choosing from our selection of affordable patio rooms that delight with private outdoor space and sweeping views of Mt. Diablo. Alternatively, enjoy the added space of our Junior Suites with cozy living rooms, sleeper sofas, and crucial extra space to work. 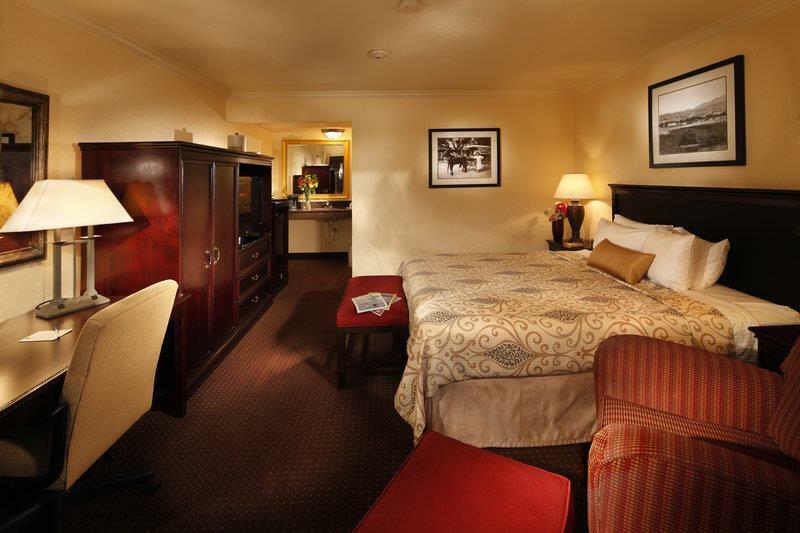 Book one of our rooms or suites today and take advantage of the best that Danville, California lodging has to offer. 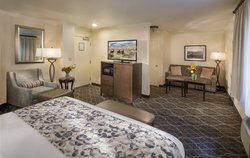 Our guest rooms have undergone a refresh with new bathroom tile, bigger TVs, upgraded linens, and more! These beautifully decorated rooms feature two comfortable queen beds, relaxing garden views, and all of the modern lifestyle amenities you require for a comfortable and convenient stay. Your dollars go further when you book with us. When you book with us, you receive a wealth of complimentary amenities including free Wi-Fi, breakfast, toiletries, health club passes, and guest parking. Benefit from the convenience of lodging together in this wonderful suite, ideal for families or business travelers. Our Two Queen Junior Suite features two queen beds and a comfortable sitting area with a queen sleeper sofa and a coffee table. Our Patio Two Queen Room is spacious enough for work or relaxation and features two queen beds, a patio with sliding glass doors, a sizeable patio to enjoy fresh air, and exceptional views of Mt. Diablo. Find the right space for you! Best Western Danville Sycamore Inn boasts large and comfortable guest rooms awash with natural lighting and the option of private outdoor space. 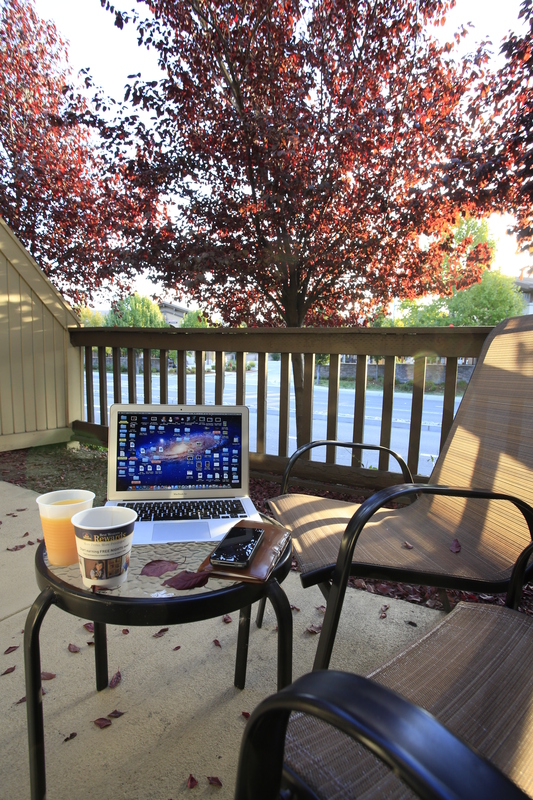 Get some sunshine, enjoy the fresh air, or get some work done on your own personal outdoor space when you book one of our patio rooms. Perfect for business and leisure, these stylish rooms feature one king bed, armchairs, ottomans, cable TV, refrigerators and microwaves. Get comfortable in our beautifully-appointed rooms outfitted with plush king or queen beds, work desks with ergonomic task seating, Flat Screen TVs, armchairs with ottomans, refrigerators, microwaves, and telephones with voicemail. 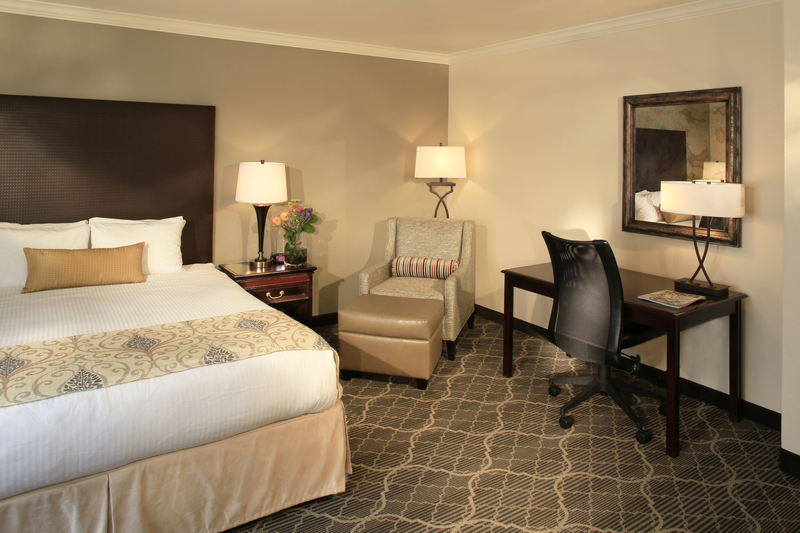 Make one of our spacious rooms your Danville oasis. 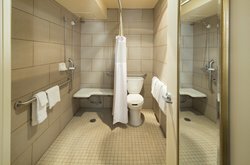 Select the right room for your needs from our versatile room types. Appreciate the outdoors and enjoy ample natural lighting with your own private patio and scenic views of Mt. Diablo. We understand that if you are in town for business, you may need space to work. This spacious room offers you plenty of space, a desk and ergonomic chair, one king bed, and all of the necessary amenities to make your stay comfortable and relaxing. 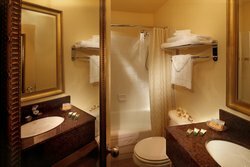 Pamper and rejuvenate in our thoughtfully designed guest bathrooms. Relax in this ADA-compliant room! These ground floor accommodations come equipped with the same amenities of our standard rooms, like a plush king-sized bed and charming in-room amenities, with the additional comforts of accessible amenities. 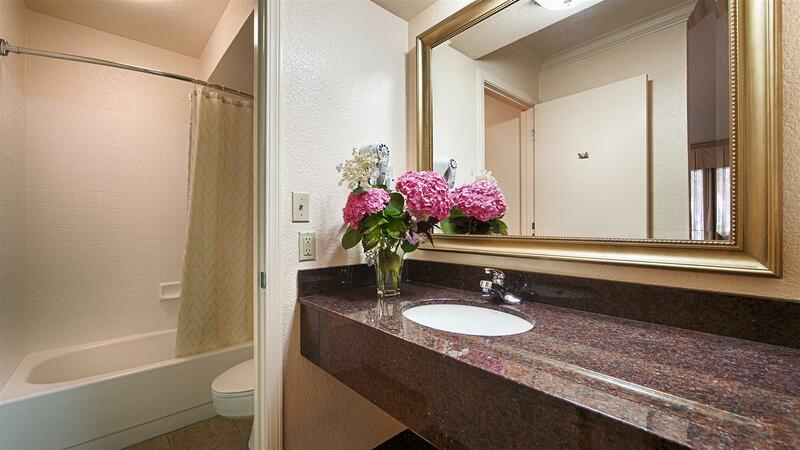 Enjoy a roll-in shower and larger doors during your stay in this guest room. 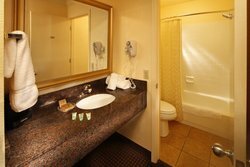 Enjoy spacious full-size bathrooms and complimentary toiletries. Take advantage of this affordable option for the whole family. These spacious suites feature one king bed and a cozy sitting area with a sleeper sofa, plus all of our signature amenities. 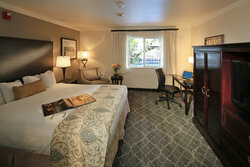 We have 62 rooms and suites with six versatile room types to select from. Whether you are visiting for a business meeting or a weekend getaway, our hotel offers a comfortable retreat for relaxing and working in the San Francisco East Bay Area. Forgot something? 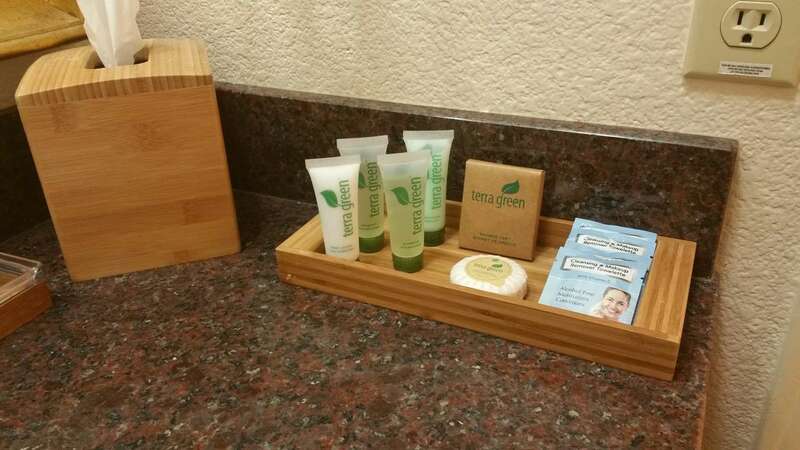 Not to worry, we have you covered with complimentary toiletries in every room.